There are several surgical and non-surgical facial procedures that can be executed at the Dr Lanzer Clinic. Some of these procedures are aimed at rejuvenation, while others tackle common skin problems such as acne and scars. To learn more about these face treatments at the Dr Lanzer Clinic, and to learn more about Dr Lanzer himself, please read the information provided by our team below. Why Should I Choose Dr Lanzer for Face Treatments? Dr Lanzer is an experienced cosmetic surgeon with more than twenty-five years of experience. He has been at the forefront of many innovative techniques; this in the field of surgical and non-surgical face treatments. Not only does Dr Lanzer use the latest technologies to provide the best face treatments to patients, he works with a full team of nurses and beauty therapists to bring the best face treatments to patients across Australia. A blepharoplasty is another term for eyelid surgery. During this procedure, the cosmetic surgeon will remove excess fat or skin from the upper eyelid, lower eyelid, or both. Eyelid surgery can provide the patient with a rejuvenated appearance, countering the so-called tired and aged look. Of course, it can also be solution for obstructed vision caused by an overhang of the upper eyelid. What Is the Mini Facelift? The mini facelift is a facelift procedure that focusses on the lower third part of the face; this enables the surgeon to use small incisions around the ears. The treatment is commonly used to restore chin definition, subsequently creating a more youthful look. A facelift is a procedure where a cosmetic surgeon can remove unwanted wrinkles and redefine the contours of the face by tightening the skin muscles underneath. The procedure is often an option for patients who experience loose and hanging skin on the face. Laser resurfacing is an advanced treatment that can be used for both superficial and deep skin problems. The treatment is applied for problems such as acne scars, wrinkles, and excessive pigmentation. 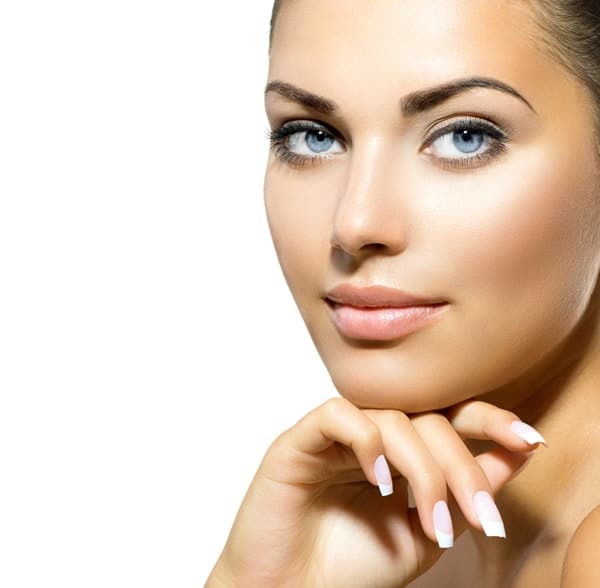 The laser resurfacing treatment is executed with a special laser, which uses thermal energy. By targeting the skin in specific locations, the laser can trigger our body’s natural healing process, replacing old cells with newer ones. An increasingly large amount of patients now opt for Face Treatments & Skin Treatments. This procedure is ideal for those that want to rejuvenate, enhancing,tightening and shaping the face and neck. Book your free consultation with Dr Lanzer. Liposuction is a fat removal treatment, aimed at the removal of persistent fat deposits. The treatment is an option for patients who are on or just around their target weight but struggle to lose persistent fat in specific locations such as the thighs, hips, abdomen, and neck. During a liposuction procedure, the surgeon will remove excess fat through a gentle suction process. A cannula (small tube) is inserted through the skin and into the treatment area, allowing the surgeon to sculpt the area in question. What Are the Non-Surgical Treatments for Rejuvenation and Skin Problems? There are many non-surgical treatments for patients who want to enjoy a more radiant skin. Patients usually require several treatments of these non-surgical treatments to obtain the results they wish to see. In Dr Lanzer’s list of non-surgical treatments for the face, patients can find options such as Ultherapy, Venus Viva, Venus Freeze, Dermapen, Laser, Medial Microdermabrasion, Glycolic Acid Peels, Enerjet, Muscle Relaxants, and Dermal Fillers. To determine which non-surgical treatment is best for your skin problems, it is best to book a consultation with Dr Lanzer. Based on your particular problems, Dr Lanzer can recommend the most effective treatment for your needs. At the Dr Lanzer Clinic, patients can benefit from a free no-obligation appointment. During this appointment, patients can discuss their skin problems with Dr Lanzer, after which he can determine the best treatment option. During the appointment, he can also provide you with a cost estimate for your treatment. Do Non-Surgical Face Treatments Require Downtime? Most patients can leave the clinic immediately after the treatment. Of course, some of our non-surgical treatments have special aftercare requirements; this information will be provided to you when you have the treatment at the Dr Lanzer Clinic. Aftercare for post-surgery treatments usually involves avoiding direct sunlight and certain skin products. Even though these changes are minimal, it is important to follow them as not adhering to these guidelines could affect the results of your procedure or could cause complications. Where Can I Find More Information About Each of These Face Treatments? The Dr Lanzer Clinic has made several information pages available for each of the face treatments mentioned here today. If you require more information, we urge you to check out the information pages on our website, which include info such as how the procedure is executed, its benefits, and more. Want to make an appointment for a face treatment ? Contact the Dr Lanzer team via telephone, email, or website contact form. To receive a free private consultation, simply fill out the online enquiry form. Let us know the procedure(s) you are considering and your details and we will get back to you with a time and day to suit you. Please use the form below to request a consultation at Dr Lanzer Surgery.